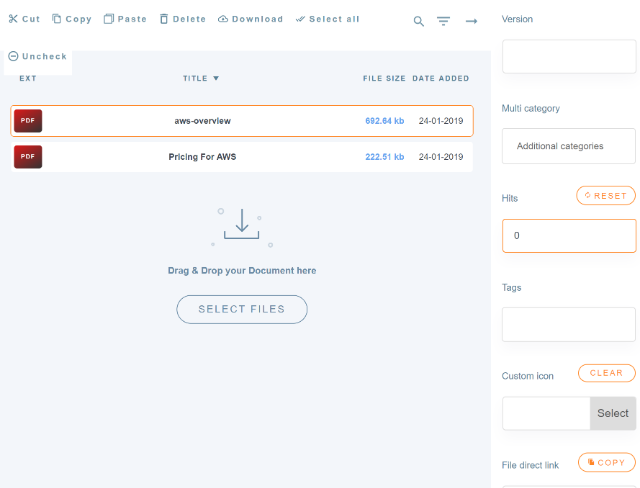 If you offer file downloads at your WordPress website, a dedicated download manager plugin will make it much easier to manage, display, and control access to those files. 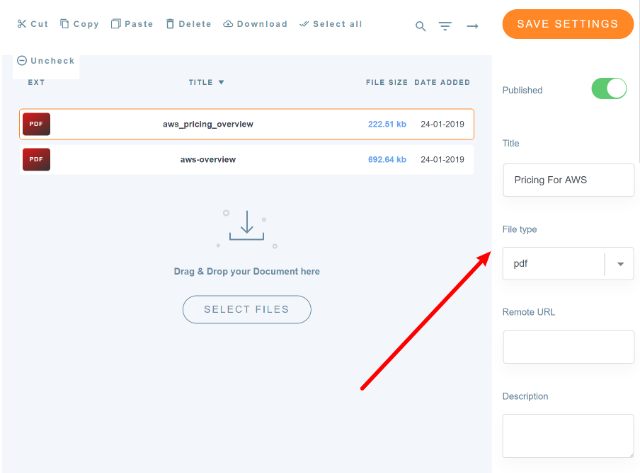 WP File Download is such a plugin, and in my WP File Download review, I’ll show you how this plugin works and help you decide whether it’s the right tool to manage downloads at your WordPress site. Note – we published our first WP File Download review back in 2016. However, the developer has since added new features and completely rebuilt the user interface. As such, we’ve rewritten the review from scratch in January 2019 to account for those features. 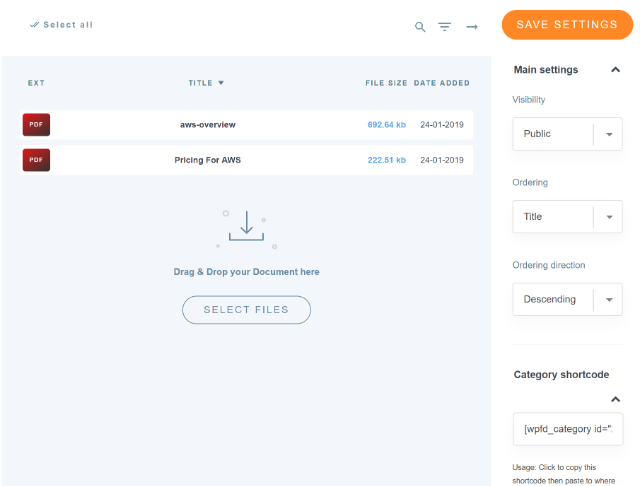 WP File Download is a full-service WordPress file manager. Sync with external storage services like Google Drive, Dropbox, etc. Insert download buttons in your front-end content. 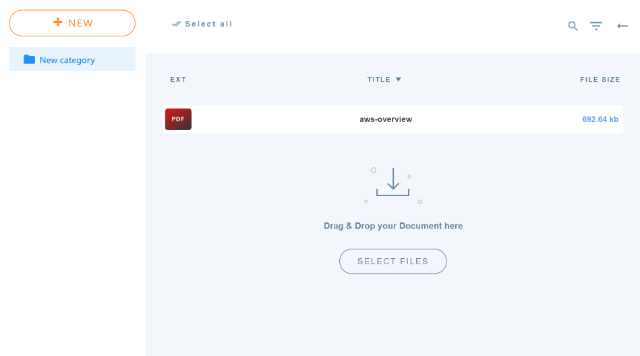 You can either feature specific files or let users browse a category of files. 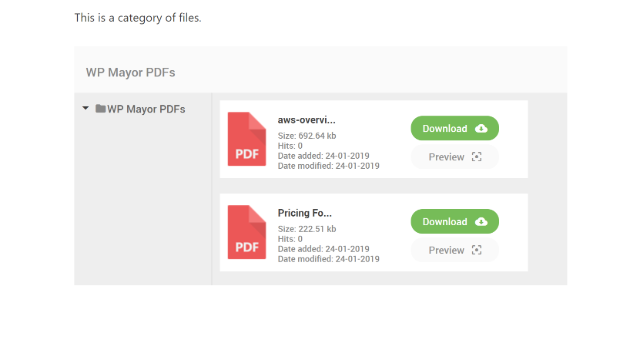 You can get started with WP File Download for as little as $29 for use on unlimited sites and 6 months of support/updates. 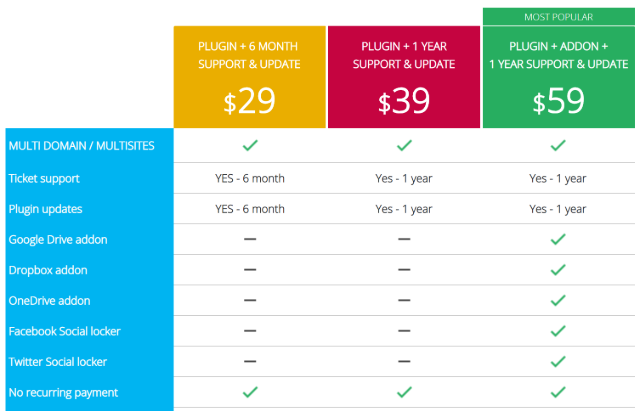 Prices then range up to $59 for 12 months of support/updates and access to all of the add-ons. Now that you’ve seen the lengthy feature list, let’s go hands-on with the plugin. 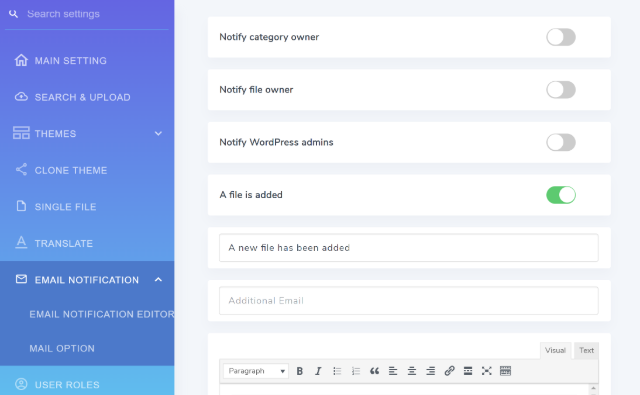 Once it checks things like your PHP version, you’ll be able to select the theme that you want to use to manage your files. And that’s it! You’re all set up. Before we jump into the actual interface, I think it’s important to give you a quick look at the additional settings, as they will affect how some things work. To access these settings, you head to WP File Download → Configuration. 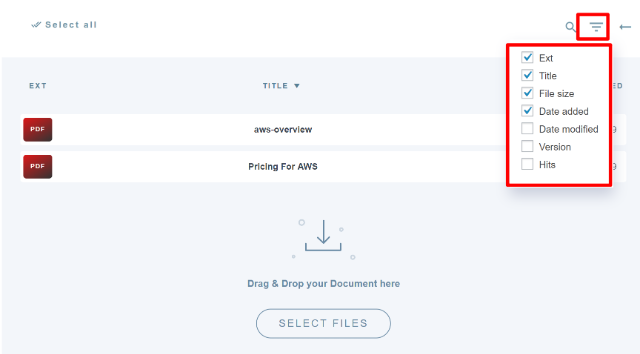 Search & Upload – lets you configure how search works, or generate the upload file shortcode. 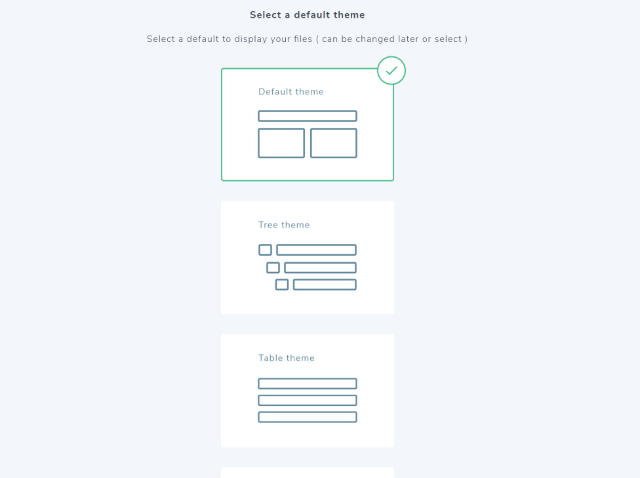 Themes – lets you choose a different theme or modify a theme. Email Notification – lets you choose when to receive email notifications (like when a new file is added or downloaded) and customize the notification text. User Roles – lets you control which user roles have access to the plugin or can perform certain actions. Alright, now let’s dig into the actual file manager part of the interface. 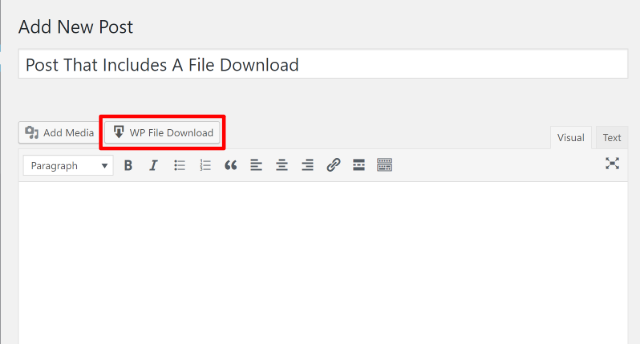 To access your files, you can click on the WP File Download option in your WordPress dashboard sidebar. There’s not anything there right now, but that will change in a second! 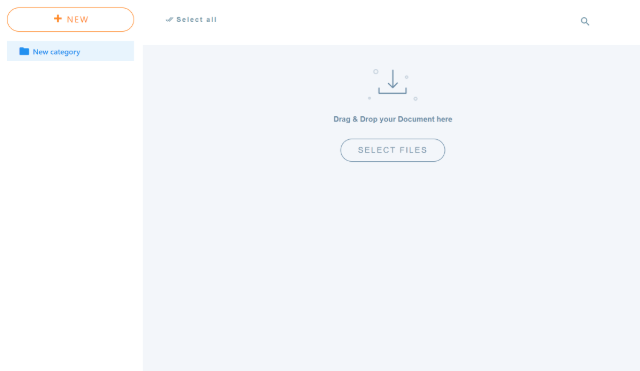 To upload a new file, you can either click that Select Files button or you can just drag a file (or files) straight from your desktop into the interface. To edit the more detailed settings for an individual file or a folder/category of files, you’ll use a collapsible sidebar. If you upload a new version, you’ll be able to see a full list of all the different versions in the interface. 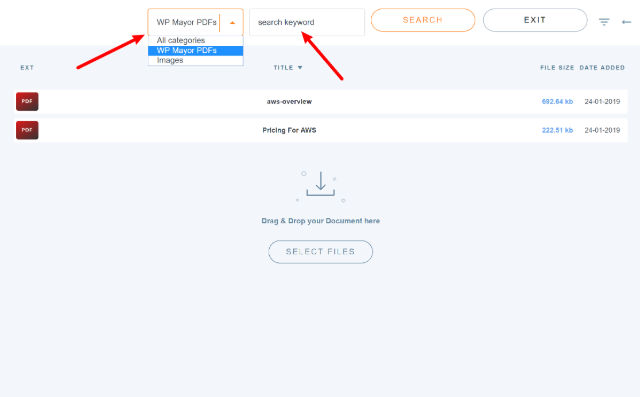 If you need help finding files, WP File Download includes a full-featured search. In addition to searching the file names, you can also use this search to find text content inside a document (this feature is disabled by default, and you might want to be careful about using it if you have a ton of files as it uses a lot of server resources). I think I’ve covered the important backend stuff. Now, let’s get into how to make your files available for download. 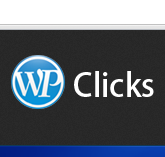 WP File Download does a great job of making this easy to do. Once you publish a post or page that contains a file download, your front-end visitors are ready to start downloading. 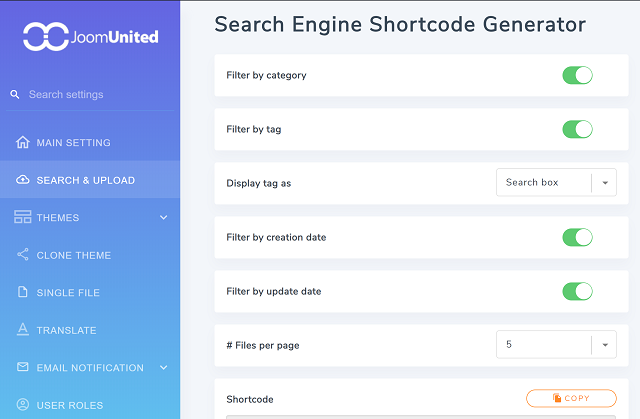 As an alternative to displaying specific files or categories, you can also create a front-end search engine from which your visitors can search and filter all the available files. 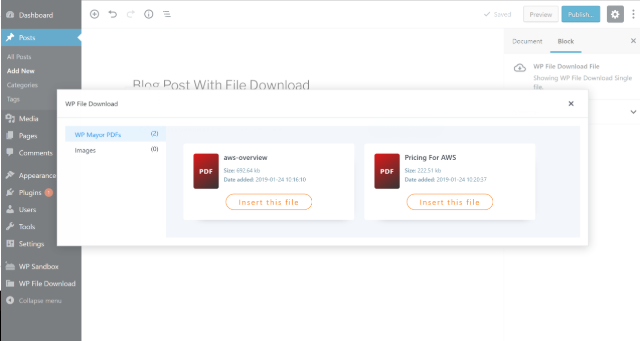 Once people start downloading your files, you can view download statistics by going to WP File Download → Download Statistics. 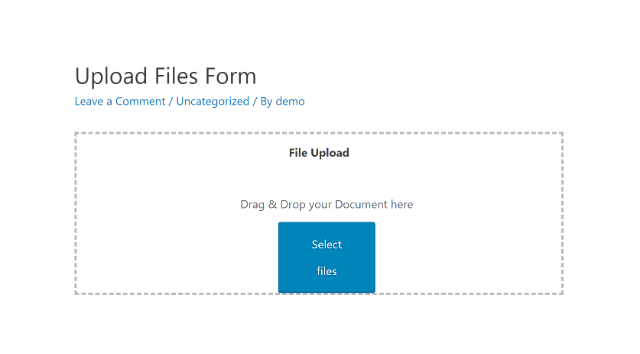 WP File Download isn’t just for downloads! 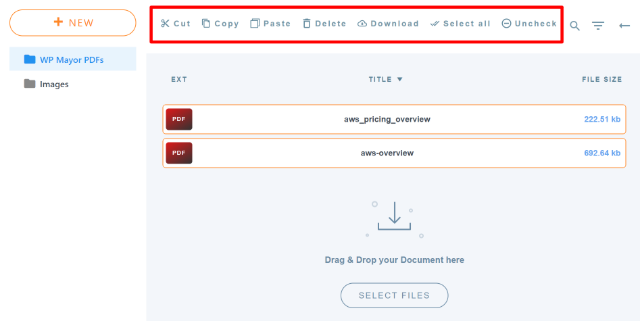 You can also add a shortcode that adds a front-end file upload form. 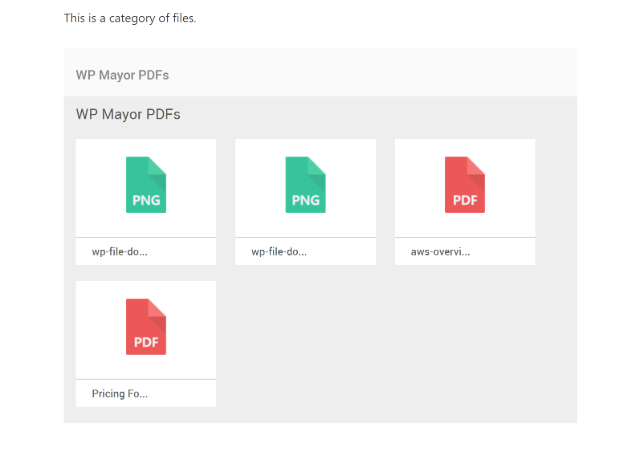 You can have people upload files into the main category. Or, you can have them upload straight to specific categories. 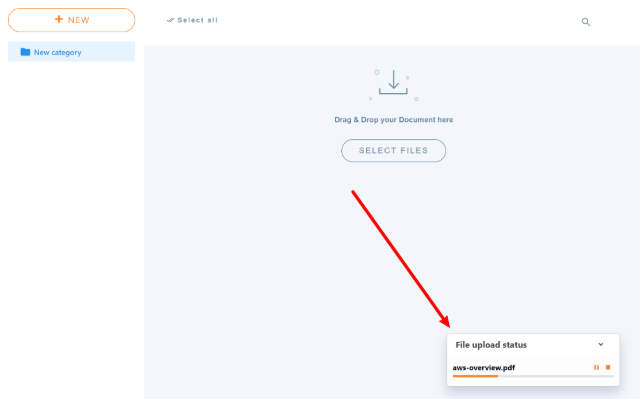 Once the file upload finishes, it shows up in the back-end interface right away. At this point, I think I’ve given you a pretty good overview of how WP File Download works. To finish things out, let me focus on some smaller features that I think you might be interested in. 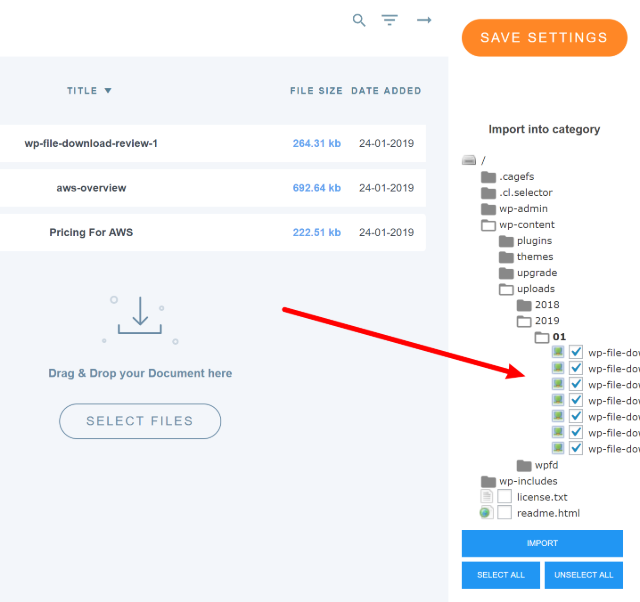 If you want, WP File Download includes an import feature that lets you upload files via FTP and then import them into WP File Download. This is a nice option for especially large files, or if you just prefer working with FTP. While the functionality itself worked fine, the interface was a little awkward because the file names get cut off if you browse into too many child folders on your server. 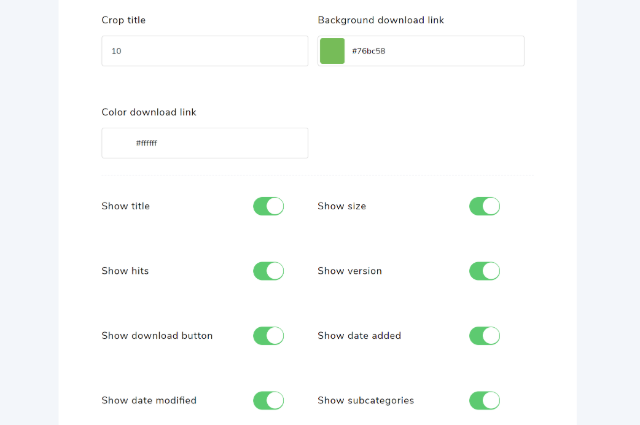 One nice thing here is that you can actually use different themes for different file categories, which gives you some flexibility. 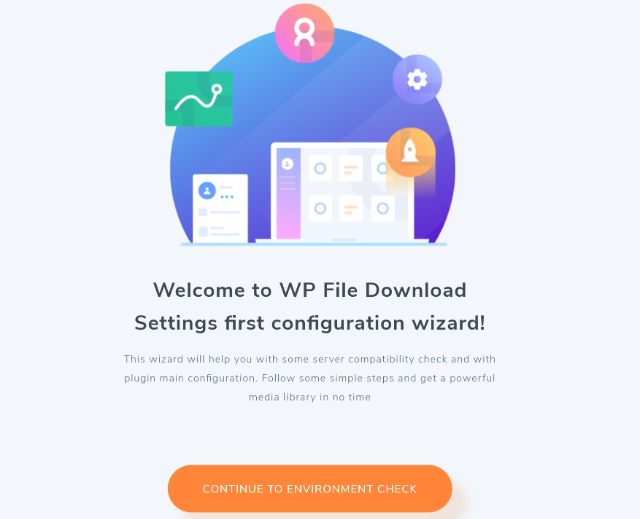 WP File Download gives you a good-looking interface to both manage files on the back-end and display them on the front-end. 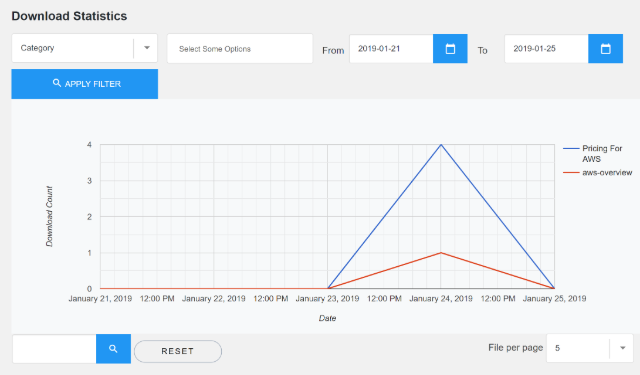 Thoughtful touches like dedicated Gutenberg blocks make it easy to insert your files, and the download stats and plugin settings make it easy to manage your files.